Metallic Rebel. The name speaks for itself. He is a force in the cutting pen that can seldom be beat. At the Southern Cutting Futurity, he added a couple major accomplishments to his list of accolades – National Cutting Horse Association (NCHA) Open Horse of the Year and a career record score. 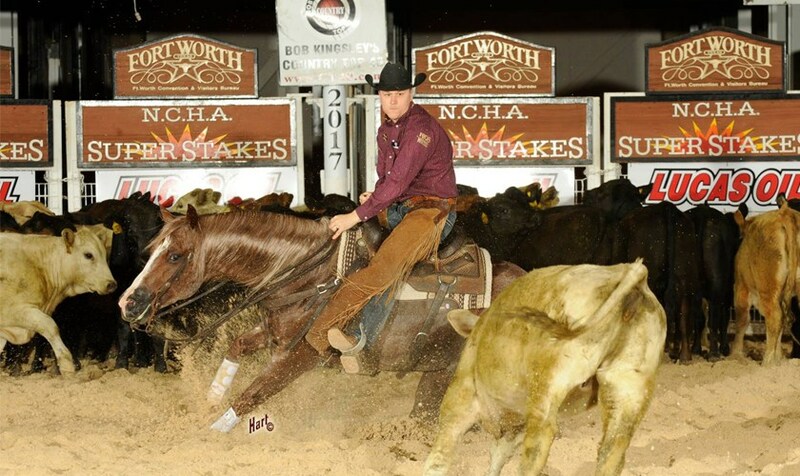 Equi-Stat Elite $3 Million Rider Beau Galyean and “Rebel” (Metallic Cat x Sweet Abra x Abrakadabracre) have been going nonstop all season in an effort to win the NCHA Open Horse of the Year title. Rebel has been neck and neck in the race with NCHA Super Stakes Champion Hashtags (Metallic Cat x Dual Rey Tag x Dual Rey), ridden by Tatum Rice, but some recent success has helped Rebel widen the point gap. In the past month, Galyean and 5-year-old Rebel, who was bred by Fults Ranch and is owned by Thomas Guinn, won the Classic/Challenge Open at the Brazos Bash and Pacific Coast Cutting Horse Association Futurity to add 80 points to their previous 557-point total. Last week at the Southern Cutting Futurity, they threw in an additional 14 points after another solid finish in the Classic/Challenge Open to bring their point total to 651, while Hashtags stands at 546 points. Rebel’s final push toward the end of the point year helped him unofficially seal the deal on the NCHA Open Horse of the Year title. Gaylean also noticed before the Southern that Rebel was just about $9,000 behind Galyean’s former mount Cattalou (High Brow Cat x Louella Again x Dual Pep), who is owned by W.S. “Billy” Morris III, in the NCHA Open World Champion Stallion race. That narrow margin motivated Galyean to ride in an NCHA Open weekend class at the event, and his performance earned the pair a massive 232. “Every big score I have ever had has been on this horse,” said Galyean, whose personal best before the Southern was a 229. “On Metallic Cat, the highest I had was about a 28, and then Cattalou marked I think a 26 at the BI [Breeder’s Invitational].